¿In what place have we chosen to be during many years at a world level? It is not about potentialities but rather the decisions taken every day. Undoubtedly, ostracism at an international level had become one of them. Nowadays, the times of the black hole in the storm are left behind. The enormous productive potential is demanding the awakening from the long sleepy stagnation. The current international insertion strategy of Argentina to the world has become more important in the last days. The adequate place is the Investment and Business Forum. The slogan: offering new investment opportunities. Furthermore, on September 6 the “4th Binational Commission on Trade, Investments and Economic Relations between Chile and Argentina” took place, wherein bilateral trade, access to the market, regulatory frames and the joint development of the oceanic paths were the main issues, in order to enhance the competitiveness of both countries. On the other hand, on September 8, the “2nd Meeting of the Mixed Economy Commission between Argentina and Switzerland” was held, with the purpose of identifying investment opportunities and key sectors for the expansion of commercial exchange (transportation, infrastructure, renewable energies and environment). Moreover, the Transnational Companies Forum of the National Industry Confederation (CNI, after its wording in Spanish) was also held, which is comprised of Brazilian entrepreneurs in order to strengthen the bilateral economic integration. The curtain is up and the play has just started. The countries and even the big regional blocks are in their seats as the audience, who are eager to draft an investment and cooperation plan and, on the other hand, permanently assess the country’s performance. 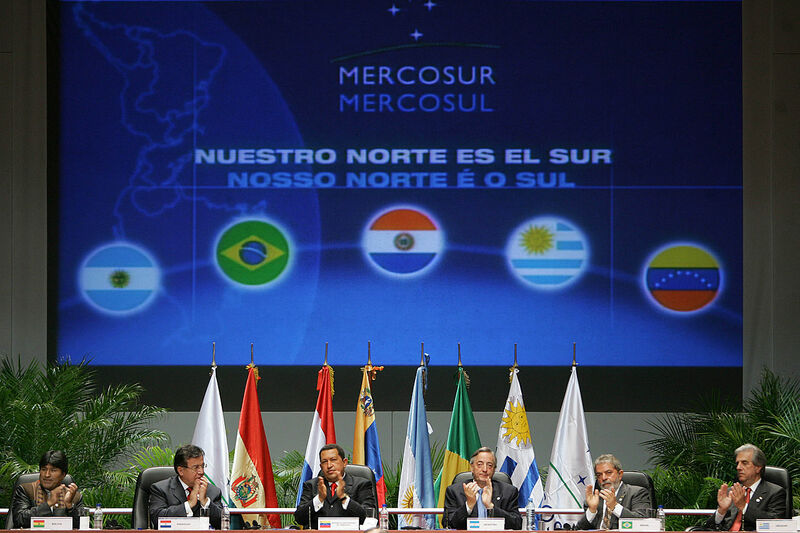 September 13 will be remembered as an historic day for Mercosur. Finally the Foreign Affairs Ministers of the Party States to the Asunción Treaty entered into the joint Declaration regarding the operation of Mercosur and the Protocol for Adhering Venezuela thereto. The unanimous approval was a novelty; for Argentina, Susana Malcorra, for Brazil José Serra, for Paraguay Eladio Loizaga, and for Uruguay Rodolfo Nin Novoa. All countries agreed to jointly determine the actions to follow and to adopt decisions in economy, trade and other issues which were completely stagnant. Uruguay had initially decided to deliver the temporary presidency of Mercosur to Venezuela on July 30, even against the will of all the other member states. The turn has been categorical. Nonetheless, the Declaration was approved through the consensus of all four Member States to the Asunción Treaty, with the affirmative vote of Argentina, Brazil and Paraguay and the abstention of Uruguay. Such consensus means a clear consent from Montevideo. Venezuela will have a term ending on December 1, 2016, to fulfill the obligations assumed in the Mercosur Adhesion Protocol. If Venezuela fails to comply with the foregoing “…the ceasing of the rights which are inherent to the condition of Member State of MERCOSUR will become effective” (Art. 4). For the Venezuelan Ministry of Foreign Affairs, the centralization of power has found the MO for its expression in the speech: “To pretend to destroy MERCOSUR through unlawful ruses is a display of political intolerance and the desperation of bureaucrats”. Caracas insists on putting the light under the table or rather at the level of the geopolitical vision that it self-planned for the entire block. It’s a pity to find such political shortsightedness altogether. Analista di politica internazionale, consulente di giornali e tv nazionali e internazionali. Consulente Parlamentare della Commissione Relazioni Estere e al Parlamento del Mercosur. Magister in Relazioni Internazionali Europa – America Latina (Università di Bologna). Avvocatessa, specializzata in Diritto amministrativo (UBA). Politologa, specializzata in Stato, amministrazione e politiche pubbliche (UBA). Sociologa, Laura con lode (UBA). Direttrice di Conexión 13 (www.conexion13.com). Conduttrice di trasmissioni radiofoniche e televisive. 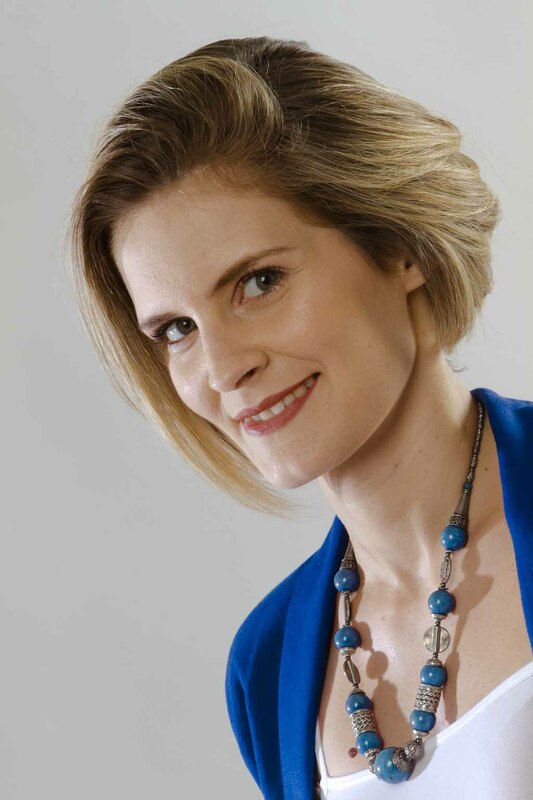 Prima candidata donna nella Legislatura 2005.